Tagged: D&D, Geek Culture, I have to Work? Today, I had the joy of witnessing BRCC’s commencement ceremony. I had more fun at today’s ceremony than at most any other I’ve attended. There have been some momentous ones, where I’ve hooded advisees, watched favorite cohorts graduate, or even graduated myself, but this one was particularly joyous. Today, I got to sit on the stage and watch the students as they shook hands with the Chancellor, pose for the photographer, and clutch their diploma folder. The ceremonies at USF were impersonal, even with students I taught. Today the sheer aura of success radiated off the students’ faces. You can see that aura from the floor, where faculty typically sit, but right on the stage, it’s blinding. The space that BRCC provides for students is like magic as long as we don’t ruin it for them. 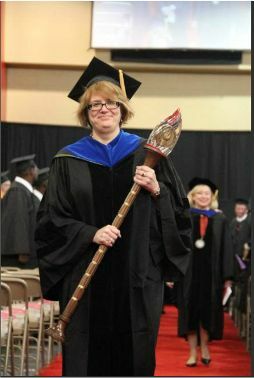 Plus, I got to lead the procession, and wield the BRCC academic mace. 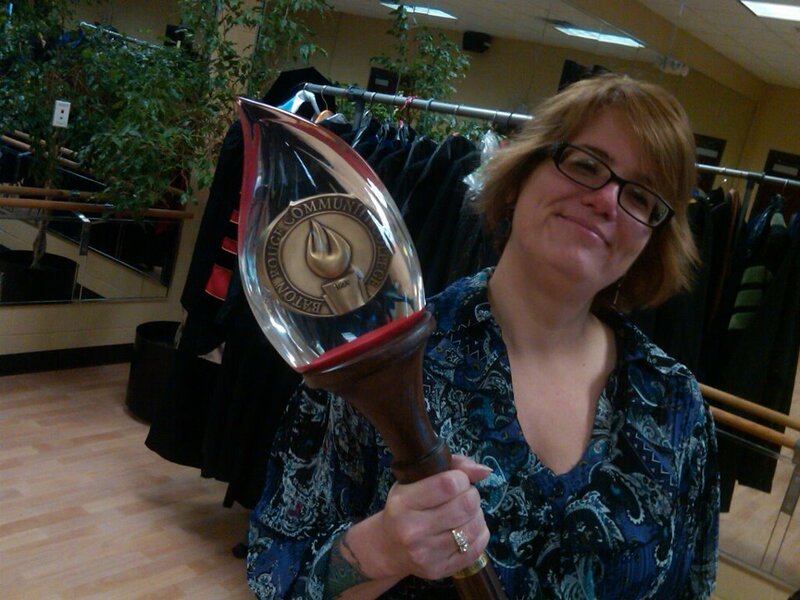 When in real life does a gamer geek ever get to hold a real mace!?!?! i never taught at a community college but during grad school, i took my foreign language credits at the comm. college down the road. loved it! loved the environment, the students, the work ethic. i remember telling my husband they knew how to put the community in college. I’m thinking about enrolling in a class or two at my school. I just wish I had the time.